Now in its 9th generation, the Ultrabot Learning Management System synthesizes our many years of experience in designing and building online communities, content management systems and learning management systems into a holistic learning approach. Our clients use Ultrabot to engage in both formal and informal learning activities, establish project-based groups focused on sharing learning and best practices, and deliver content to their colleagues and community members. We provide Ultrabot on both a web-hosted and an installed basis, and engage in a continuous cycle of innovation and improvement to ensure effective and fulfilling learning experiences for our clients. Curriculum-linked content and assessments. 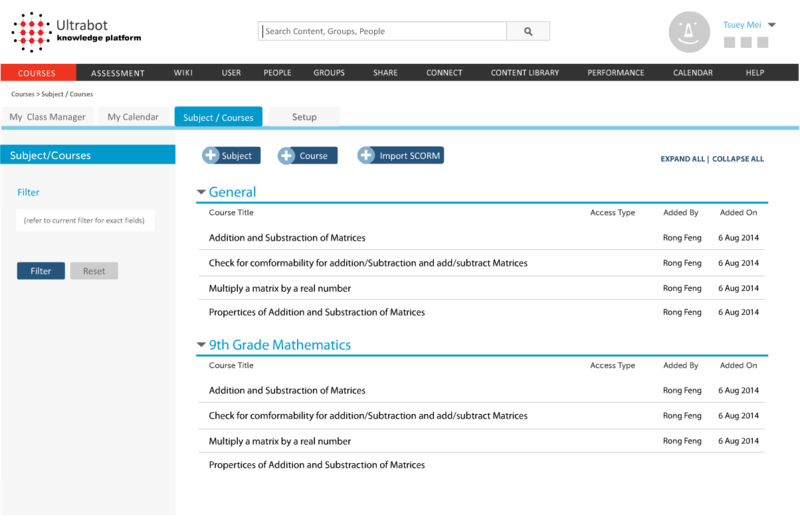 Trainers and learners can easily add, edit and navigate their courses. An interactive learning playlist that provides immediate feedback on course progress, allows learners to move at their own pace and can be customized to meet different learning objectives. 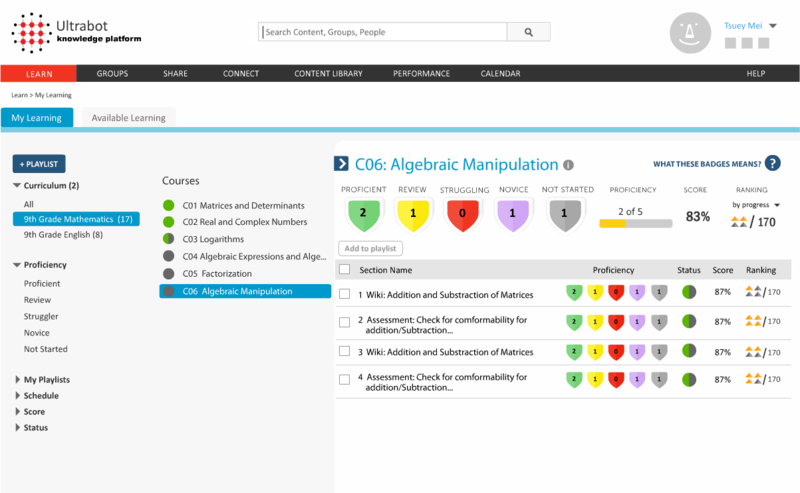 A blended learning approach that integrates classroom assessment with the Ultrabot LMS. 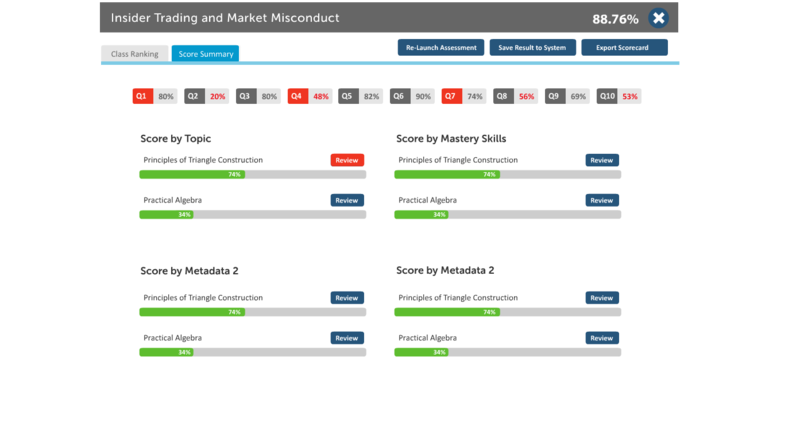 The assessment engine includes an adaptive, rule-based assessment algorithm for testing and learning gap analysis. Enables interactive classroom sessions with results tracked and reported into a proficiency framework that advances learners towards mastery of a skill.